Alternative to plastic surgery for many women, especially in Asia are appliances beauty literally that seems absurd. Here are some of them that will probably make you laugh or just make you speechless. The creators of this bra for face claim that it will help in the fight against wrinkles around the mouth, which are formed from smiling. It is made of silicone rubber; the only pressure is on the face. 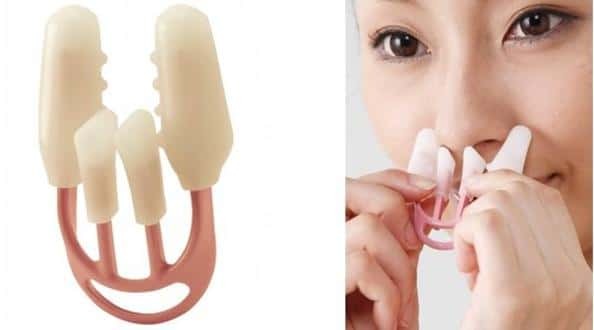 Some people do not like their noses, so a Japanese company has invented a device for narrowing named Han Tsun. "Hana" means nose in Japanese, while "tsun" means to perk or stick up, just like a nose should (physically, not metaphorically!) It puts pressure on the cartilage and nostrils. The creators believe that 20 minutes per day is enough to strength and straighten your nose to help you achieve perfect nasal profile you so desire! Face Slimmer Exercise Mouthpiece - Well, this invention directly seems scary. Special "face slimmer" in the form of female lips stretched wrinkles. The secret is in the shape of a person which is acquired after inserting the Face Slimmer Exercise Mouthpiece. These unwanted wrinkles are smoothed naturally in just three minutes a day. During this time you have to pronounce all the vowels out loud. Eyelid Trainer - For just $ 25 a few minutes each day you can have "double eyelids" that are much desired by Japanese girls because they want to stand out from all others with typical Asian look. 7,000 units were sold during the first month of sales. 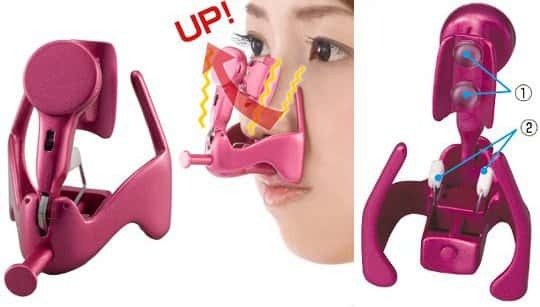 The Beauty Lift High Nose applies vibrations to help push the nose higher and make it firmer - just slip it on and turn on the switch on the front of the frame. ll you need is three minutes once a day . 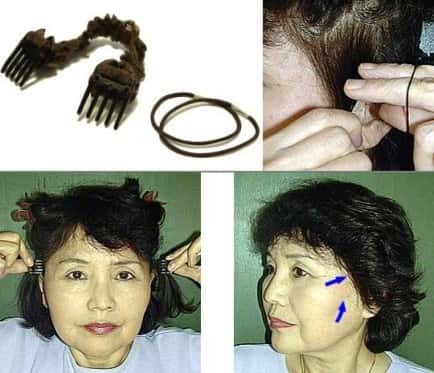 This device - Karakuri Ribbon Scalp Stretcher, which costs $ 33, must be worn under the hair every day to fight the signs of aging. It tightens your hair back; the same thing can be achieved with very tight ponytail. Does it really work? 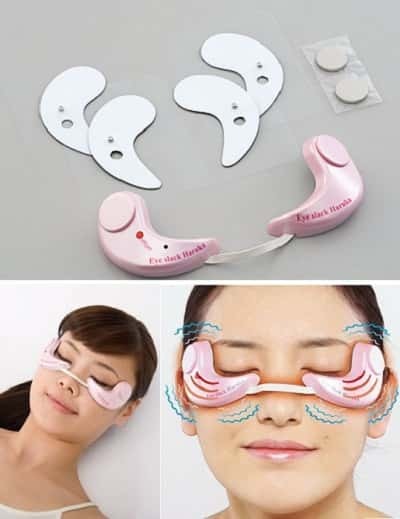 Eye Slack Haruka Electric promises to help you get rid of bags and dark circles under the eyes. The device vibrates and emits heat, which seals and evens skin. Another thing with quite confusing form - Hannibal Lecter type mask against wrinkles. Kogao! Smile Lines Face Belt - Anti-aging, anti-wrinkles beauty mask - This mask is made of two layers of nylon nadishasht, claiming that it will be able to reduce wrinkles around the mouth. And after all, seen here ... the choice is yours.